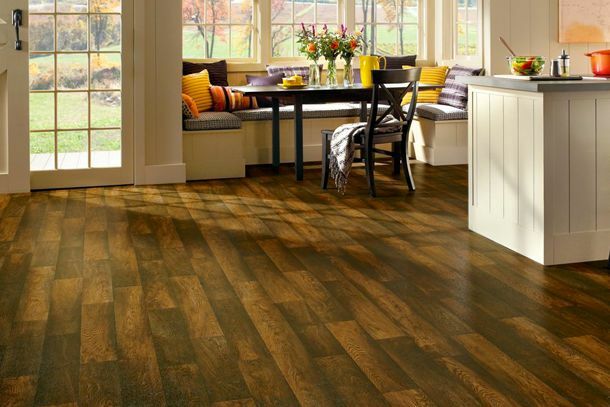 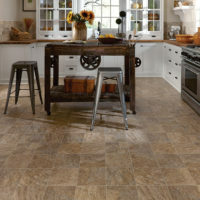 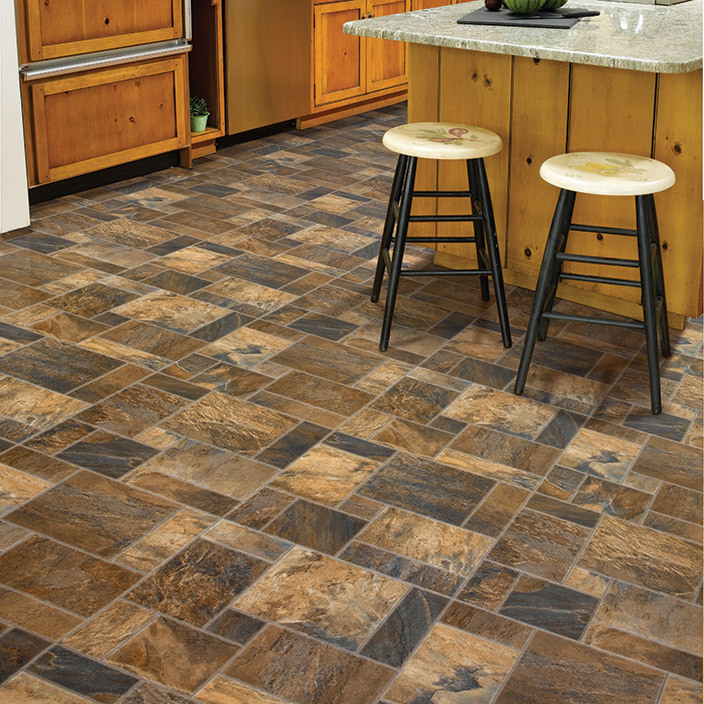 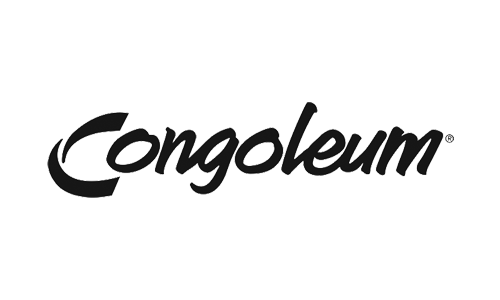 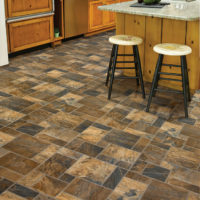 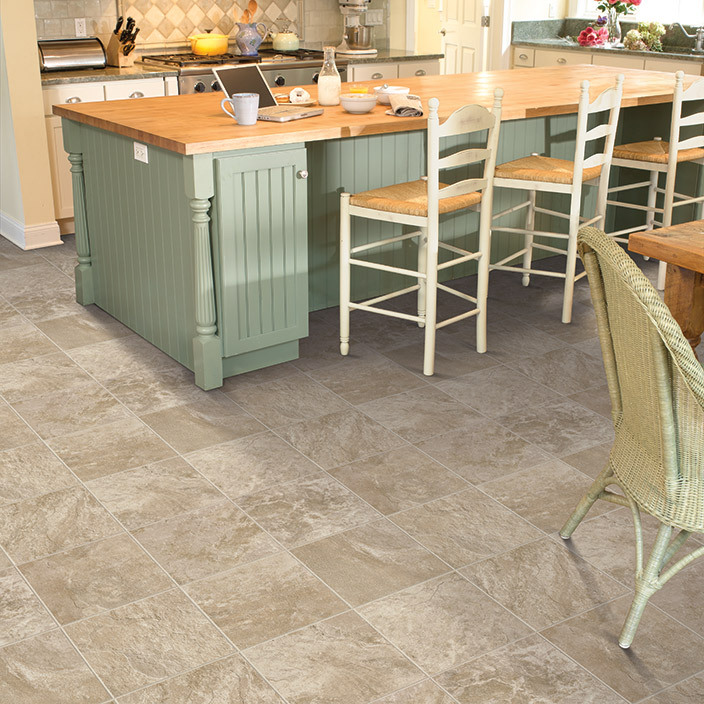 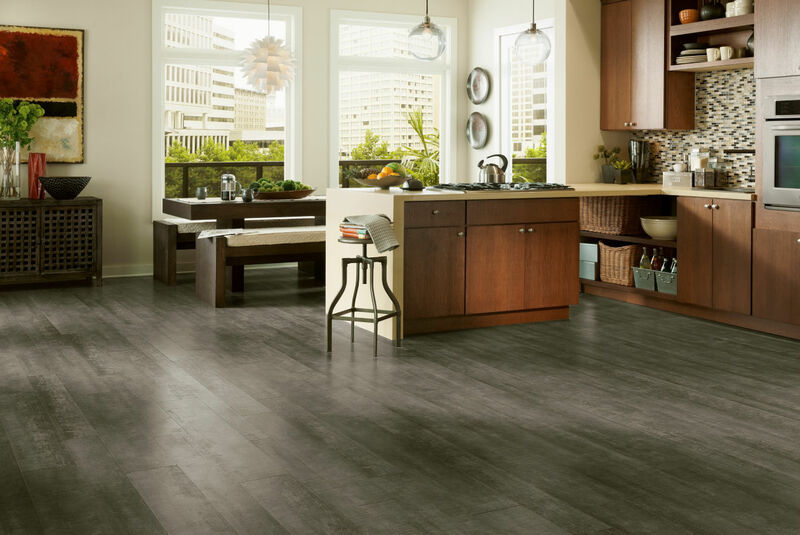 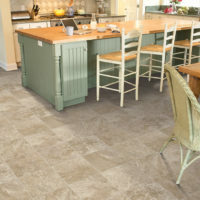 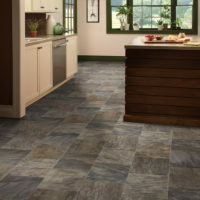 Resilient flooring is available in rolls, planks and tiles, and most recent waterproof composite. 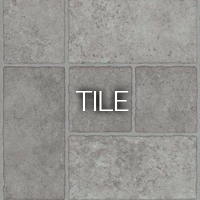 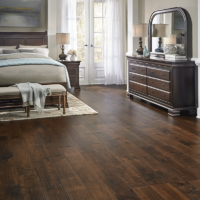 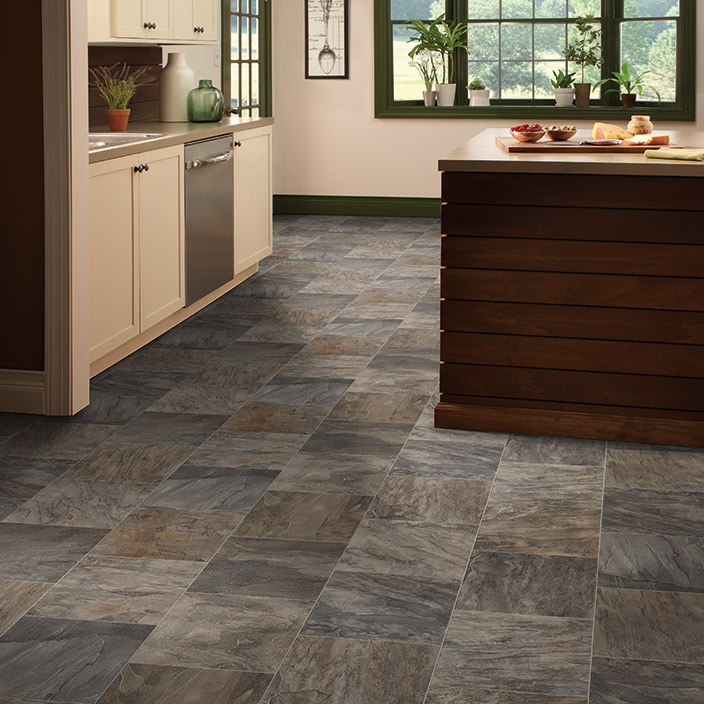 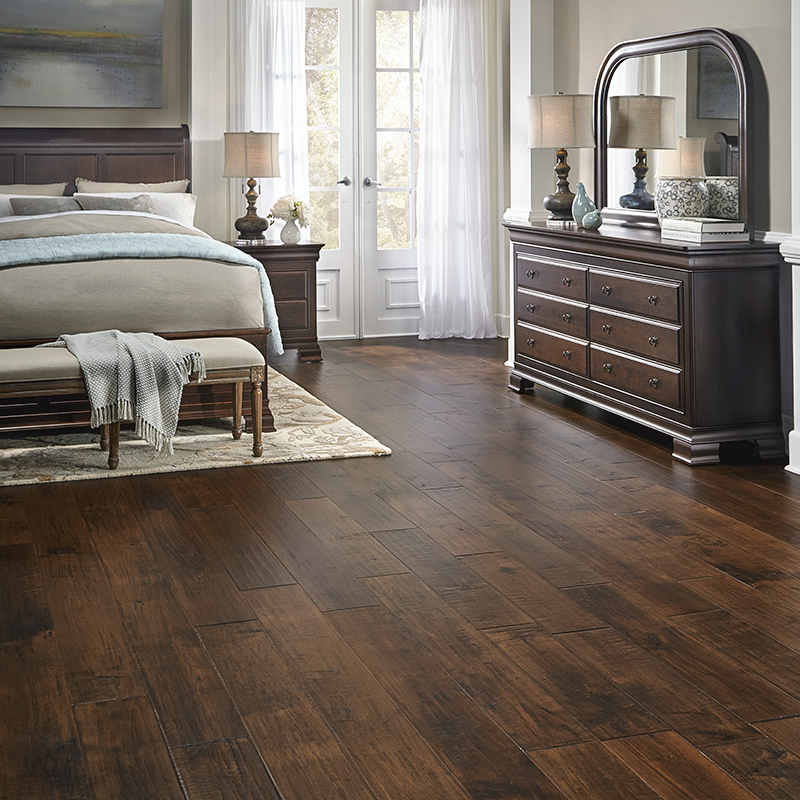 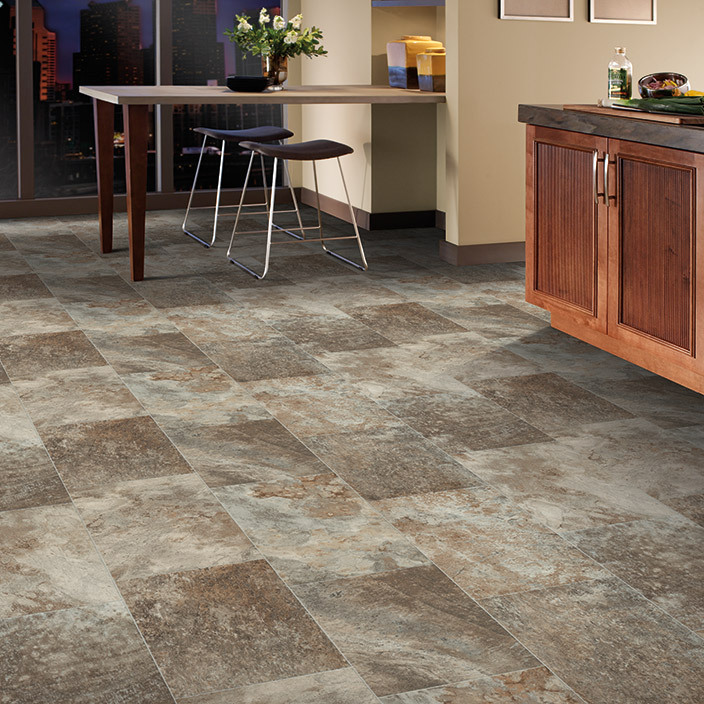 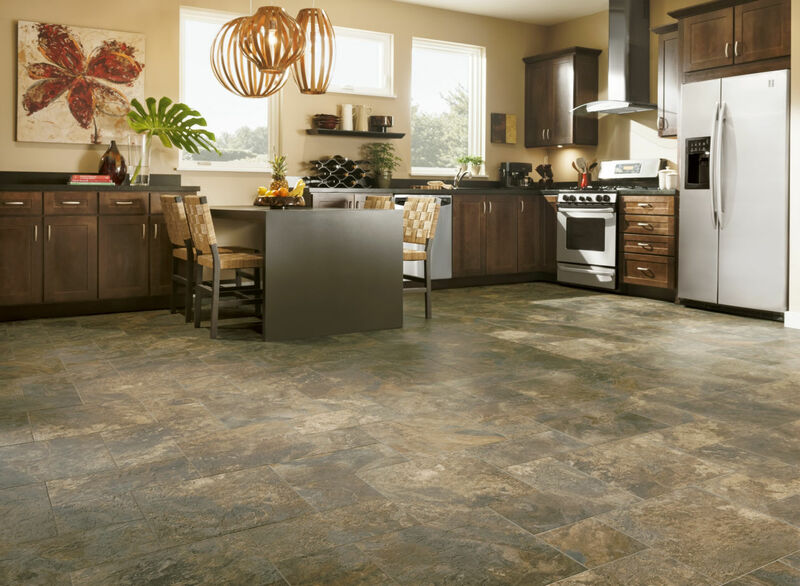 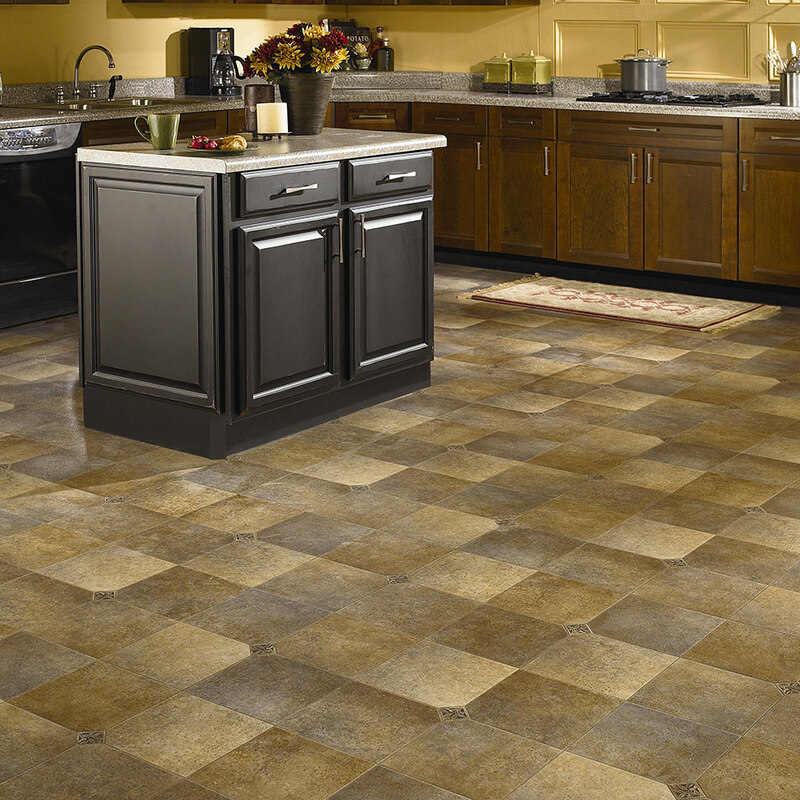 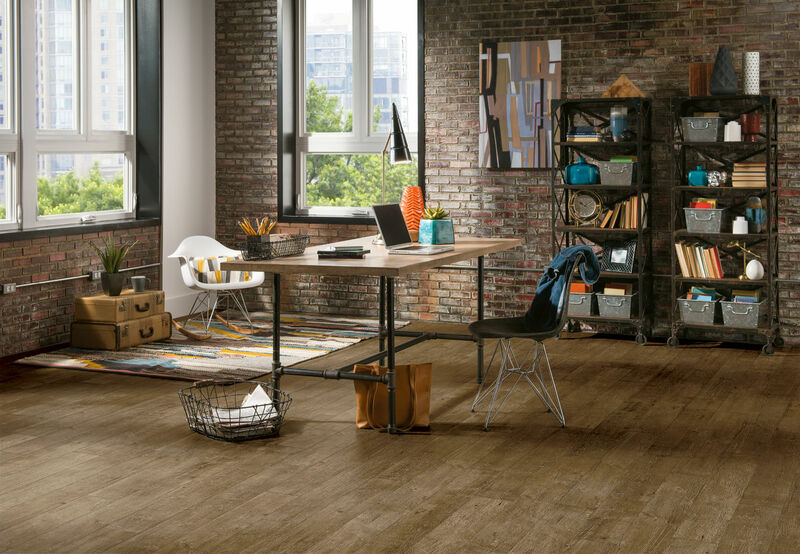 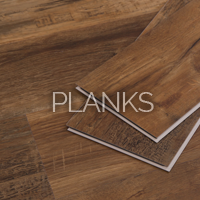 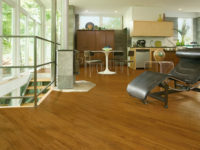 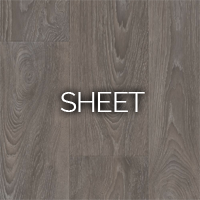 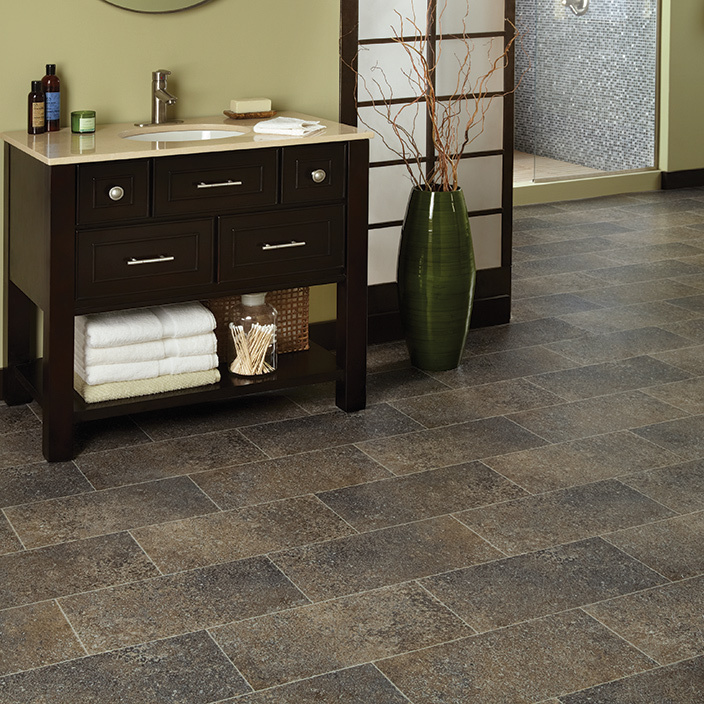 Resilient flooring is extremely versatile and available in a variety of colors and styles. 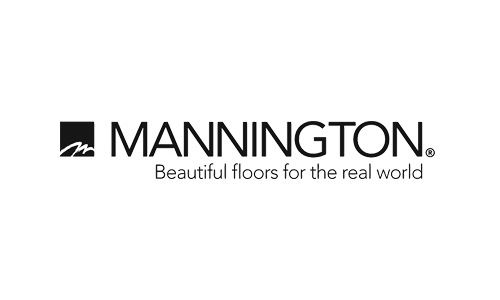 The visuals are created from photos. 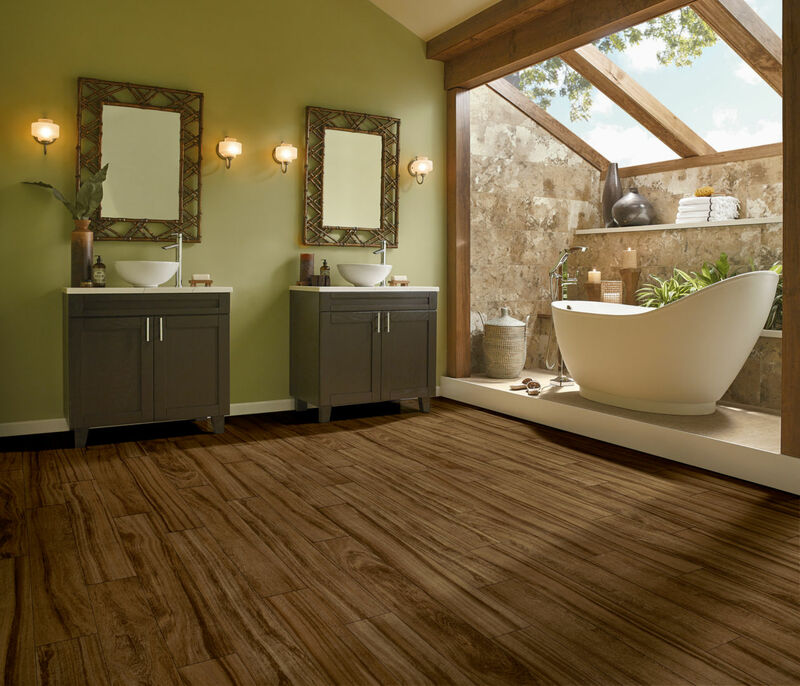 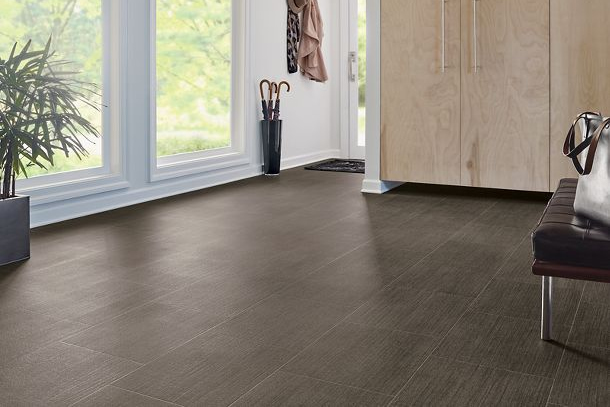 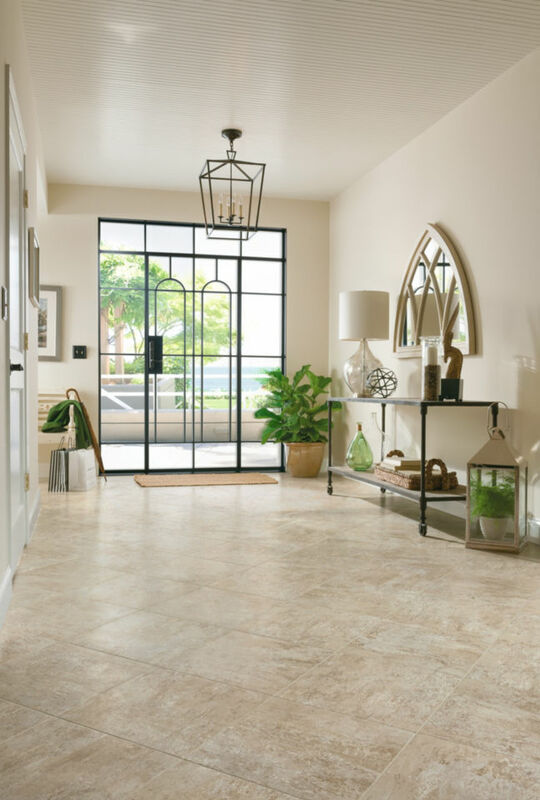 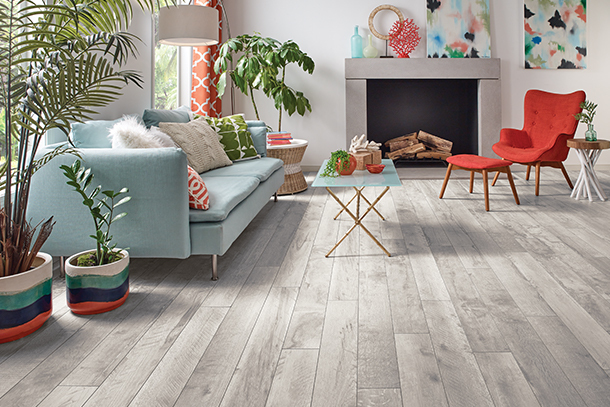 So literally images are morphed into hardwood, tile & stone looks and then texture is added to create a look so natural that it is difficult to spot the difference between real hardwood, tile & stone and the resilient products. 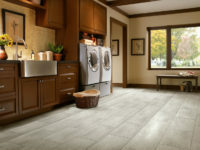 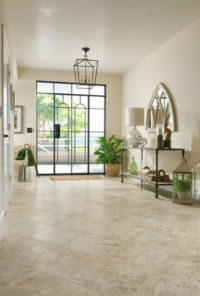 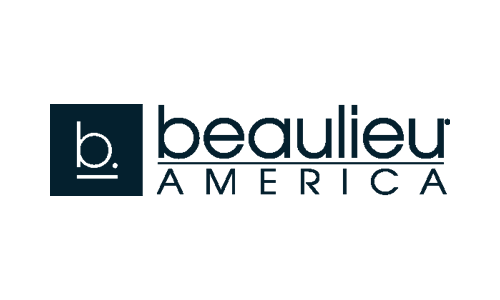 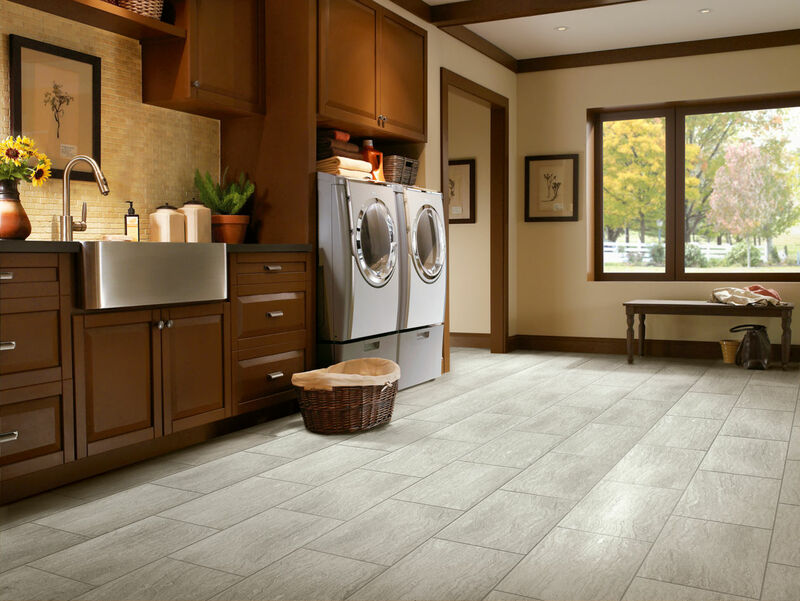 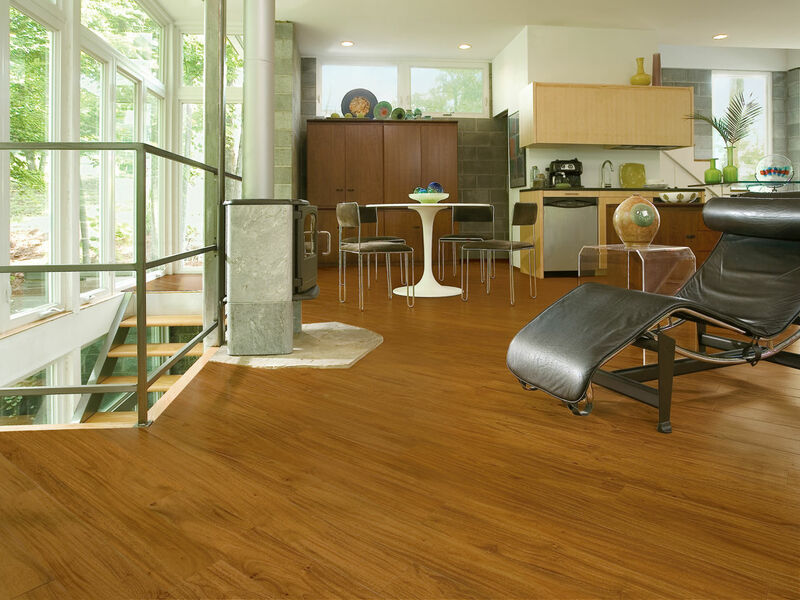 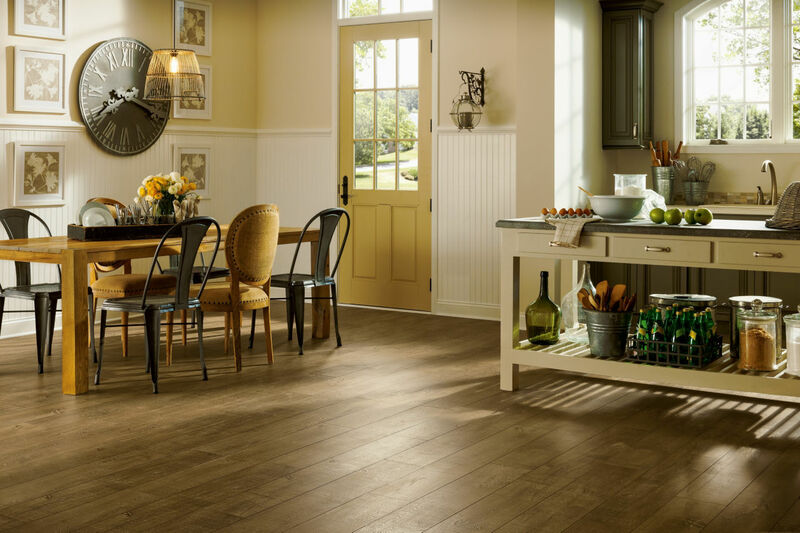 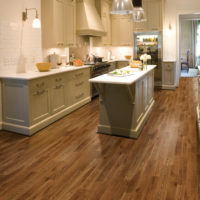 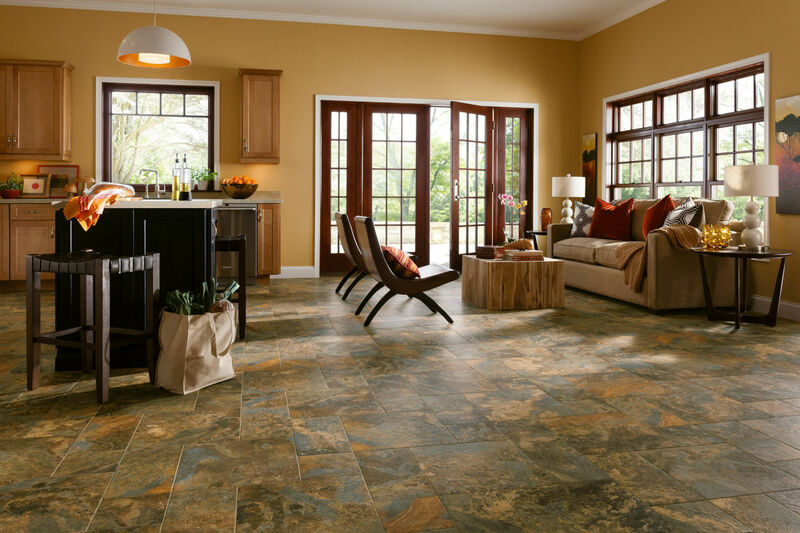 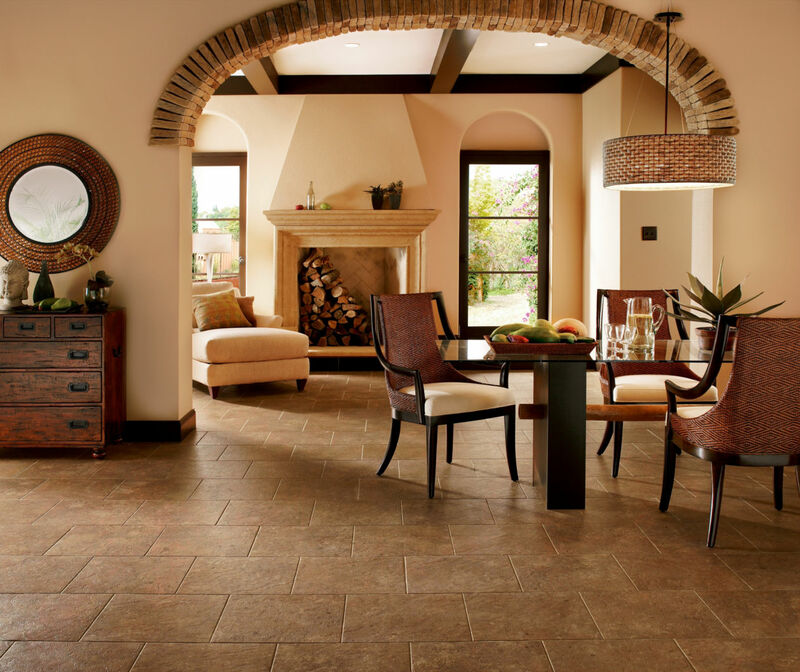 Resilent flooring also has a comfort under foot that you simply cannot get from other flooring types. 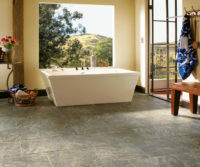 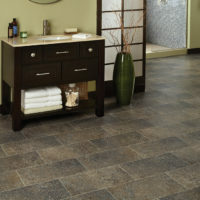 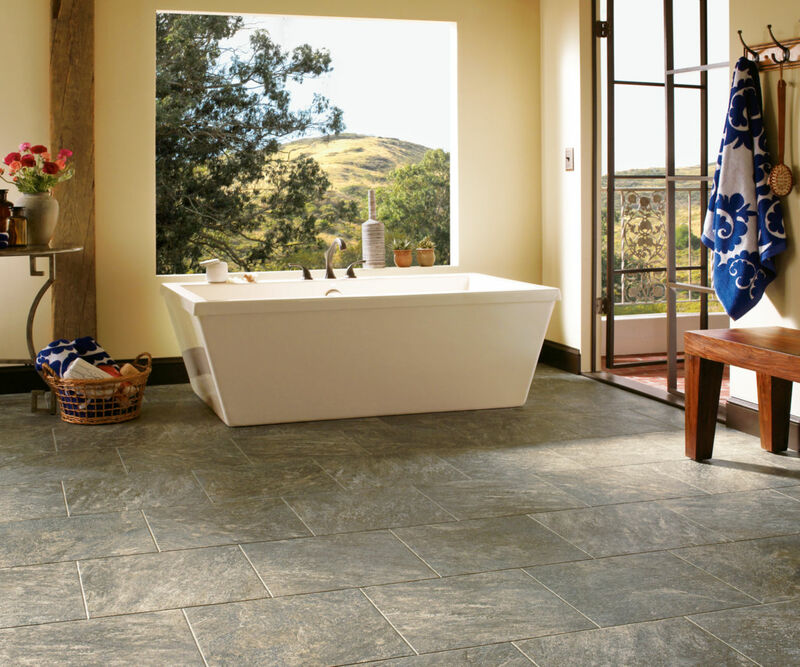 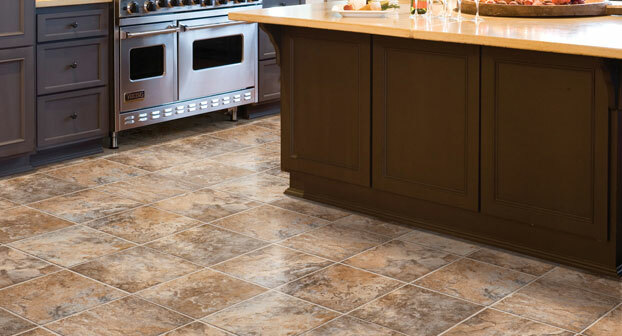 Resilient flooring is also resistant to water, mildew, stains & is actually resistant to scratches. 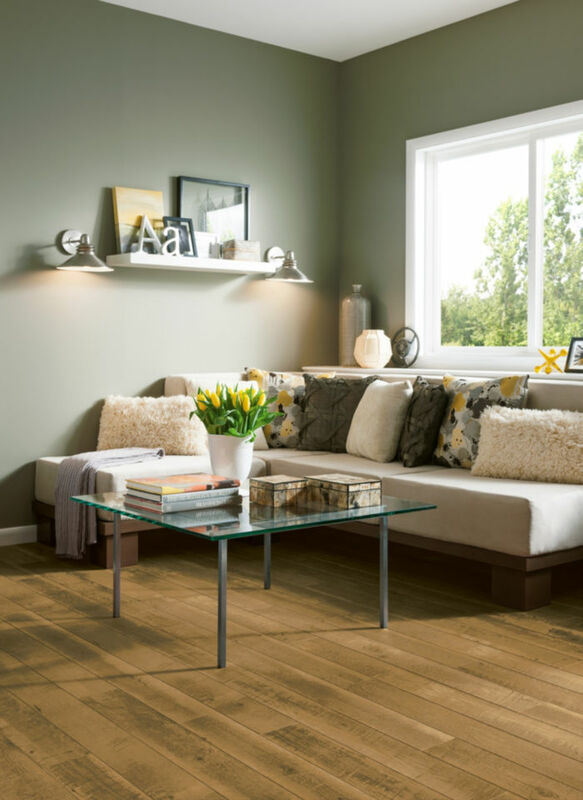 Liquids stay on the surface and are easily wiped away and can handle accidents that can occur with a busy family with children & pets and heavy traffic. 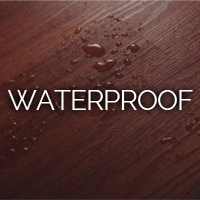 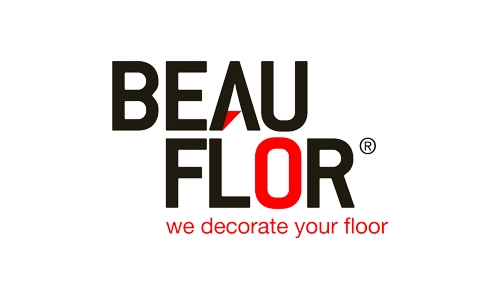 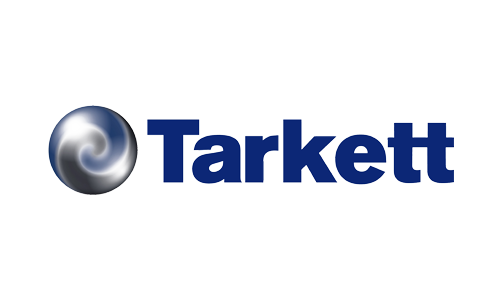 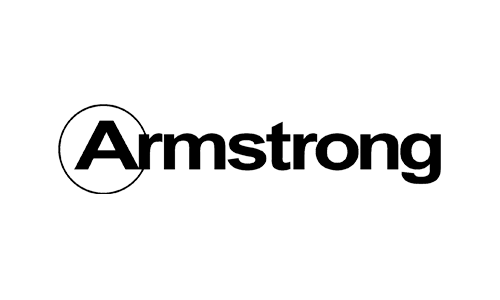 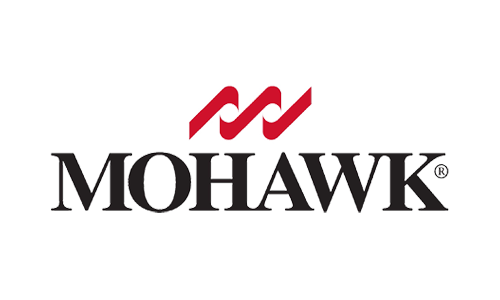 All types of resilient flooring are generally stain and water resistant, durable and compatible to stand or work on. 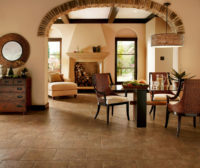 Each type of flooring material requires routine, periodic, interim, and restorative cleaning procedures in order to maintain its appearance and prolong its life.